Scottish Government Minister Alex Neil has pleaded for help from the UK in providing Scotland with a greener housing stock. Mr Neil, the Cabinet Secretary for Infrastructure and Capital Investment, has urged the UK Government to exert its influence over the banking sector to free up greater capital for ‘green’ mortgages. Ahead of a Greener Homes Summit on the 23rd November at South Lanarkshire College, Mr Neil said: “Helping increase the uptake of more energy efficient homes would be a massive step on the way to beating fuel poverty. “The financial institutions are missing a trick. 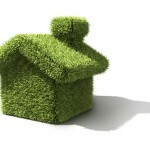 They need to look to adapting their products by introducing green mortgages. They should recognise that new technologies are key to energy efficient homes and a vital element in economic recovery”. The Scottish Minister added: “Existing and prospective homeowners should be encouraged and supported to invest in new forms of technology and energy efficient measures – and lenders need to be part of the solution by providing suitable home loans”. Following the credit crunch of late 2007, few lenders in Scotland provide mortgages in the absence of sizeable deposits – around 25 per cent in many cases. Whilst Mr Neil’s pleas are surprisingly optimistic considering the frugality of the current UK Government, which earlier this month managed to all but destroy the solar industry, providing environmentally minded homeowners with financial incentives does make a great deal of sense. Head of Policy at WWF Scotland, Dr Dan Barlow, noted: “Green mortgages with favourable interest rates could act as a great incentive for homeowners to invest in measures such as insulation to make their homes more energy efficient and protect themselves from rising energy bills. It is high time that the banking sector stepped up its efforts to support us all to green our homes”. Whilst Scotland calls for help from Westminster, homeowners on either side of the border can improve the energy efficiency of their properties by installing cavity wall insulation and loft insulation. During the coldest months, homeowners could also save money by installing the Condensate Trace Heater Kit (produced by Multifit), which protects condensate pipes from freezing – a common occurrence in the greenest Scottish homes.